On 19/05/2018, Malabar Cements Limited announced Job notification to hire candidates who completed Diploma, B.Sc, ITI, MBBS for the position of Technician Trainee, Foreman Mines Trainee, Multiple Vacancy. 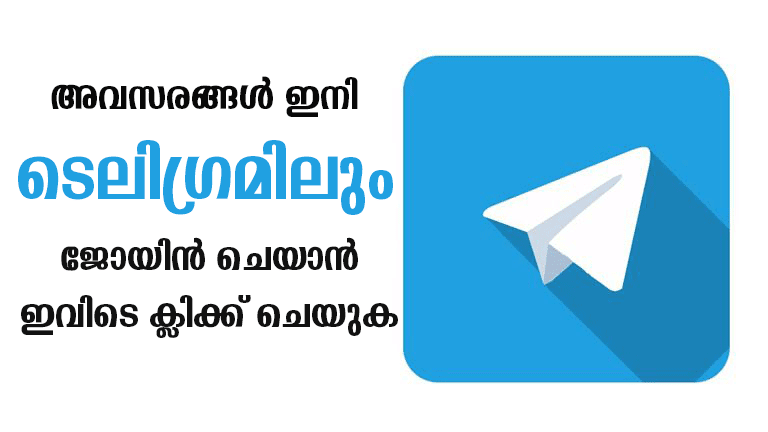 Eligible candidates can submit their application directly to Malabar Cements before 2018-06-15. You should aware of all the process of Malabar Cements Limited vacancy Details, like Malabar Cements Limited Recruitment 2018 Eligibility criteria, Selection process, Age limit, Application process, Examination fees last date of application etc which are given below, The latest Malabar Cements Limited Recruitment 2018 Online Application link attached to this article. 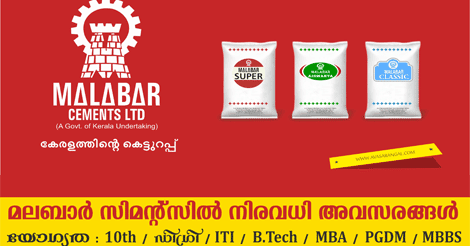 Malabar Cements a fully owned Government of Kerala undertaking is synonymous with superior quality cement, vouched by customers spread across the State of Kerala. At Malabar Cements, product improvement is not just a one-time strategy for boosting sales, rather a quest for excellence. Age Limit: Not to exceed 25 years as on 01.01.2018 with usual relaxation to SC/ST/OBC candidates as per rules. Qualifications: Diploma in Mining Engineering. Experience: Minimum 5 years Experience in Mechanized Open Cast Mines. 2.Should have successfully completed 3 years Apprenticeship training as Earth Moving Machinery Mechanic. Possess valid Licence for operating Heavy Vehicles. Age Limit: Not to exceed 36 years as on 01.01.2018 with usual relaxation to SC/ST/OBC candidates as per rules. Interest candidates shall apply on or before 15-06-2018.